overview : Six years before Saul Goodman meets Walter White. We meet him when the man who will become Saul Goodman is known as Jimmy McGill, a small-time lawyer searching for his destiny, and, more immediately, hustling to make ends meet. Working alongside, and, often, against Jimmy, is “fixer” Mike Erhmantraut. 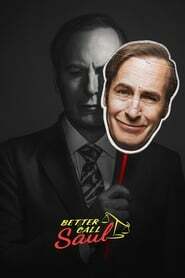 The series will track Jimmy's transformation into Saul Goodman, the man who puts “criminal” in “criminal lawyer".